Fresh Hair began in 1982 when Joy Silverstein and Marie Doucette left Newbury Street to be in their own neighborhood and do the work they love in an atmosphere they, and you, can enjoy. The two-chair salon quickly became four chairs. Then in 1986 the little grocery on the corner had a fire and went out of business. Fresh Hair grew into that space, adding more styling areas, a retail area, a cosmetics counter, a facial room, a real reception desk and an office. Luci Mansfield was Salon Coordinator for many years and put together the Gift Center in 1996. In 1998, Marie moved home to Florida, and Joy became sole owner. The building façade was renovated in 1999. For everyone’s comfort and aesthetic enjoyment the interior expanded in 2004 to make room for Spray Tanning, a separate hair-drying area, a second bathroom and a center-access shampoo sink. In 2005 a pedicure chaise was added. I really liked Margarita. She took charge, like a professional. I got a great cut, great advice, and she answered all my questions. I few hiccups, hard to get an appointment, had to extend my Nift (thank you! ), and accidentally booked me for a shorter service. They squeezed me on, done fast but well so I really can’t complain! Everyone was very friendly. It was a cute place, and I appreciated the fact that they use vegan products. I had a very good experience at Fresh Hair. I think Daria explained everything what she was going to do and what products she was using and guided me on how I can take care of my hair in future. She was very knowledgeable and friendly. My stylist, Daria, was amazing. She was enthusiastic about my hair and about working with me. She took her time and gave me a great cut and styling. I am super pleased and have made a follow up appointment. 5- your squares below font work. Kelly gave me an amazing cut- glad to be there. The service was very friendly and nice, so I would recommend the place based on service. However, I didn't think that the quality of the service was worth the price. I got a hair cut and it was a total of $55 and there was nothing special about the cut! The staff and stylists were all very friendly, and did a great job in explaining the products and why they're beneficial! Michelle was fantastic--I would definitely go again! It was great I discovered a great salon I probably otherwise would not have tried. My girlfriend has a great experience. When she accidentally messed up a couple of her nails post-manicure the nail technician was very nice and sat her down again to fix them. Very happy with them. My hair cut was awesome! Thank you! I had a great experience and received a fabulous pedicure! Would recommend - 5! Daria was excellent. Very enjoyable experience all around, and pleased with the cut! Very professional yet fun salon. Would highly recommend! Great customer service. Very clean and a one stop shop for hair, nails, and facial care. The staff was extremely helpful and kind. This was the first hair cut I have ever actually liked and the hair dresser did the exact style I wanted. I have already recommended them to my friends and will be sure to return! I appreciate the effort to meld my tight last-minute schedule into their booked schedule! Fresh Hair is fantastic! I'll be going in next week for a coloring job! Definitely won me over! The esthetician who did my wax was extremely thorough, patient, and professional. Also, the waiting area at the salon has great magazines to read, as well as hot tea. I would certainly return! Margarita is a hair magician! The stylist I had was very accommodating. My hair did not come out as we planned and she scheduled another appointment for free to fix it. 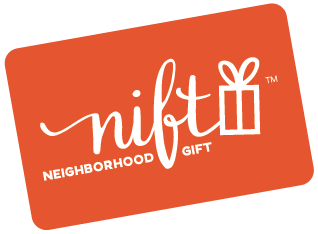 I love nift! This salon was amazing! I had an amazing time. I got my nails and eyebrows done. I can't wait to go back for my hair! It was an awesome surprise to know that shopping in my community came with a bonus in addition to shopping local. The coupon led me to a new local spot I am excited to support. Thanks Go Nift! Rocio was fabulous! We chatted during the nail appointment and she did an incredible job! I will be back. Always a friendly place, with wonderful and talented stylists. I was brand new to the salon, and Kelly was a great stylist and gave me a beautiful cut! What a great way to get to know my neighborhood and try out a local business. I had a wonderful experience at Fresh Hair. Michelle was very professional and attentive. I will be back again soon! my technician was running late but was extremely professional and kind about it.